Australian Crushing & Mining Supplies have available high quality Chain to suit most Crushers & Screens. Our Chains are engineered to minimize fly rock and to assist in wear reduction, chain curtain at the feed opening will aid in eliminating rock ejection. We also stock a wide range of Herc alloy chain, Mining Chain, Lift & Tie down chains. Australian Crushing & Mining Supplies stock a broad range of Conveyor Belt Fasteners and Fastener Installation Tools. We have a number of different brand name Conveyor Belt Fastener and Fastener Installation Tools and at competitive prices with excellent availability. •By contracting ACMS serviceman to install a fastener into your own belt, or a belt supplied by us. Please ask about our ranger of Lacers to suit our belt clips, great way to save money, Clip & Install you own belts. Dont Forget we are available 24 hours a day, 7 days a week, 365 days a year. All our servicemen are competent, skilled & committed to providing timely, fast & quality work. Eli-Flex FR909/N60 is a two-part polyurethane resin, formulated to effect quick and easy repairs to damaged conveyor belting and other rubber components. 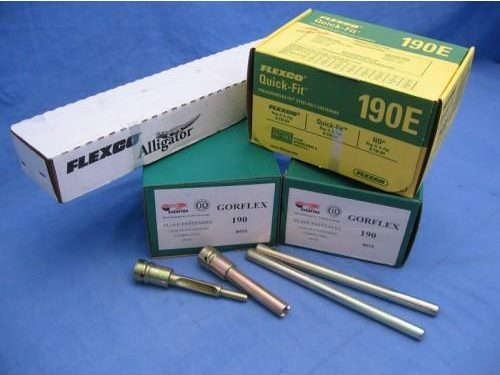 The product Eli-Flex has enjoyed rapid growth across a wide range of industries. 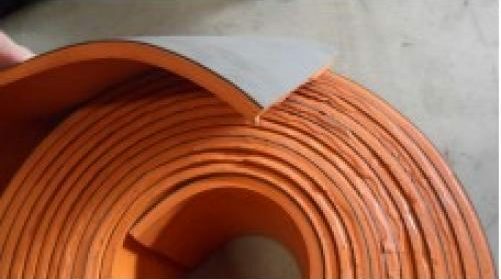 Eli-Flex can be used on all types of rubber and PVC belts. This includes fabric carcass, steel cable and steel cored belts. 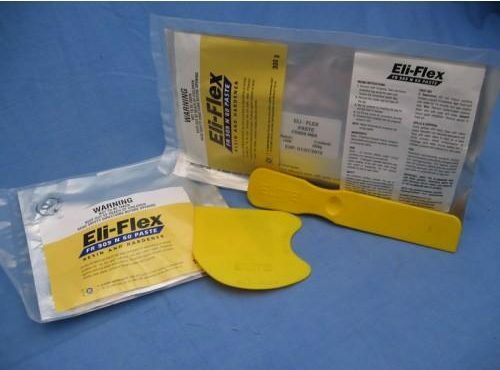 Eli-Flex is suitable for repairing holes, tears, splits, rips, gouges, missing filler strips, worn patches, clip joint / fastener sealing, edge repairs, re-building cleats, chevrons and sidewalls, worn drum lagging, roller coatings and friction linings. Industrial tyre repair, vehicle anti-roll bar repair, general rubber rebuilding, rubber castings, rubber repair, mouldings, cable-entry sealing, marine fender repair, floating hose repair, watertight insulation, expansion joints, anti-vibration pads etc. Takes the hard work out of screen mesh changes and cut downtime. Increase productive maintenance hours by decreasing the time taken to change screen mesh. Many of Australia’s largest quarries and mines have changed to the wedge tensioning system. Screen changes can be carried out safely, quickly and efficiently. Only a hammer is required to tension or remove the screen mesh. The system can be used on any type of screen media. Re-tensioning after running can be checked quickly to obtain long screen life and maintain screening efficiency. No machine modifications are necessary to fit. Australian Crushing & Mining Supplies manufacture a wear-resistant polyurethane, these poly scraper strips provide long service life. They are manufactured in a wide variety of thickness, widths and lengths for fitting existing or new applications. The stiffness of the material means that the scraper strip does not bend so a good scraping angle can be maintained throughout its service life. Please contact our sales team for all your skirking or belt cleaning scraper needs. •Lasts up to *10 times as long as rubber skirting (*subject to conditions and installation etc). Australian Crushing & Mining Supplies capping rubber is a specifically designed rubber extrusion used to protect the top of the steel stringer bars that support the rubber screen cloth in vibrating screens. This rubber cap prevents the underside of the screen cloth from excessive wear or damage from the string bar and also protects the stringer bar itself. ACMS capping rubber is made from a high grade EPDM rubber compound specifically designed to have excellent wear and impact resistance. 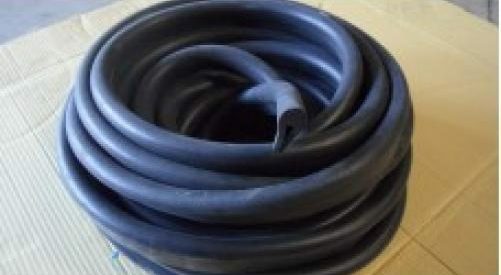 The type of capping rubber used should be based on the duty of the application and also the stringer bar size. NEW: Now in stock POLY Capping ! Stronger, longer lasting ! 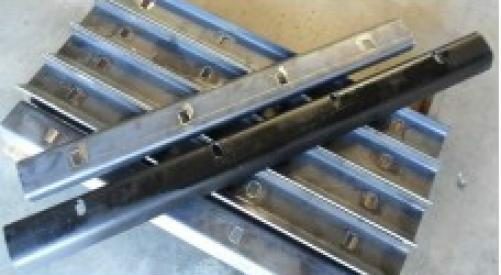 We stock a range of clamp bars to suit most of the mobile and static screens decks avalable. Our blank clamp bars are made from a high quality steel & are 6mm thick, we can also punch holes to suit if required. Our stock includes the following sizes, but we can custom make any size to suit your requirment. 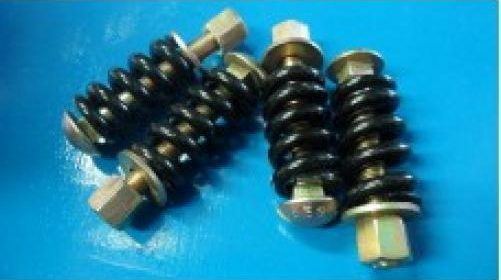 tension Bolt & Spring, & we stock these in black high quality steel. Australian Crushing & Mining Supplies is your one stop shop for all your Skirting products. Its always a challenge to contain spillage and control dust on conveyors and at the transfer point. Correctly fitted skirting material will greatly help in dust suppression and controlling spillage. Australian Crushing & Mining Supplies is a well recognised industry leader in conveyor skirting products. Conveyor Belt Skirting solutions in the bulk materials handling industry. 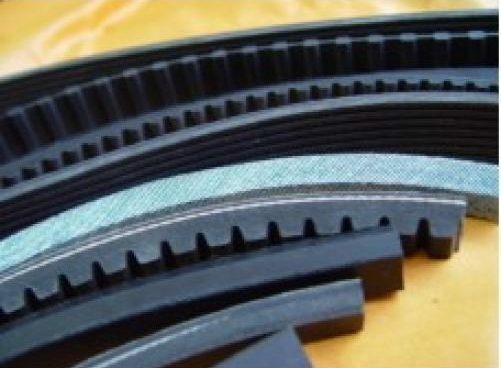 From traditional low cost skirt rubber in a range of widths and thicknesses, we can solve your skirt sealing problems. We have available for immediate delivery our highly regarded Polyurethane, Bonded Rubber & Natural Rubber Skirting range. significantly last longer and lower friction thereby definitely reduce belt damage and lower your maintenance and spillage. solving all your Conveyor Belt Skirt issues. 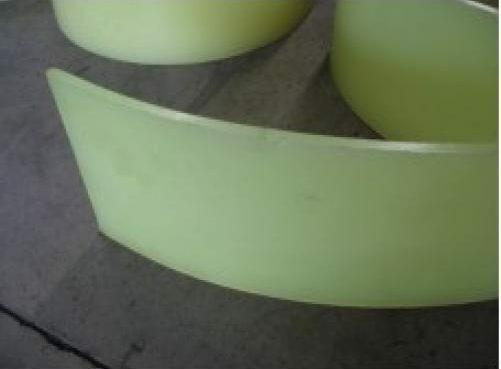 Used for washing suppressing dust or directing material flow. The fan shapped spray forms a curtain of water that distributes a high volume of water at 120 degrees evenly for a variety of applications over the production or screening surface. 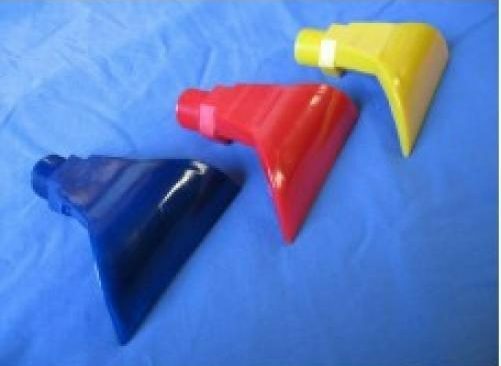 We also supply a range of coloured coded nozzels for different aperture sizes. crushing & screener dust suppression. A (15 to 237 inches); B(22 to 159 inches); C (39 to 480 inches); D (75 to 660 inches) and E (144 to 660 inches). Other lengths can be ordered and will be promptly produced and distributed. Produced from special raw material, POWERMAKE “D” belts offer the best pulley-belt adjustment, allowing smaller curvature radiuses and helping in the dissipation of heat generated by the transmission system itself Systems that already use POWERMAKE belts do not need to be altered for the use of POWERMAKE “D” REXON keeps in inventory a varied set of lengths of the following profiles: AX (22 to 122 inches); BX (28 to 120 inches) and CX (51 to 120 inches). Lengths that are not in our inventory, as well as the DX line, can be made to order. Produced for transmission systems that operate in limited space, high rotation transmissions and powerful engines. These are belts that are smaller than the conventional ones. HIGHT V line complies with American standards (RMA MPTA) with the following belts: 3V/5V/8V (in inches) and the METRIC LINE complies with European standards with the following belts: SPZISPA/SPB/SPC (metric). Produced from special raw material, POWERMAKE “D” belts offer the best pulley belt adjustment, allowing smaller curvature radiuses, helping in the dissipation of heat generated by the transmission system itself and reducing the systems weight. Systems that already use HIGHT V and METRIC LINE belts do not need to be altered for the use of HIGHT V “D” and METRIC LINE “D” BELTS. REXON keeps in inventory a varied set of lengths of the following profiles: 3VX (25 to 140 inches); 5VX (50 to 224 inches); 8VX (100 to 212 inches), SPZX (643 to 3563 mm); SPAX (750 to 3768 mm) and SPBX (1250 to 4000 mm). Lengths that are not in our inventory, as well as the SPCX line, can be made to order. 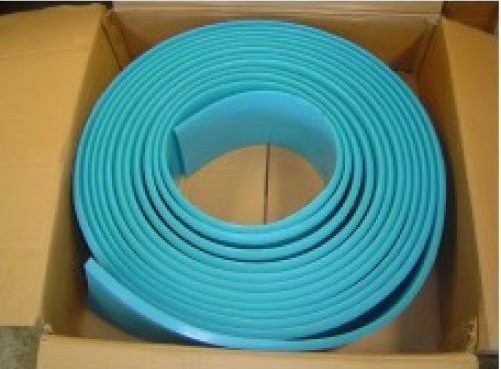 Produced according to American RMA-MPTA standards, MACHINE POWER belts solve the problems of reduced space transmission and high curvature radiuses. 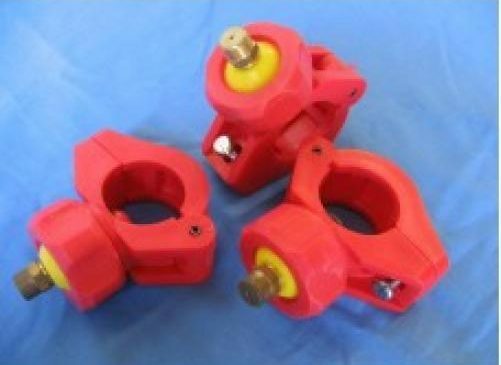 They offer a small arch of contact with the pulley, reduction of diameter and they eliminate the need for pre-tensioning. REXON keeps an inventory of a varied set of lengths of the following profiles: 3L (11 to 74 inches); 4L (15 to 100 inches) and 5L (23 to 100 inches). Lengths that are not in our inventory can be made to order. A special layer, resulting in systems with up to 20 ridges unites TORK-BAND belts. They are produced in A, B, C, D profiles (TORK-BAND POWERMAKE) and 3V, 5V and 8V (TORK-BAND HEIGHT-V that allow equalized wear out in the system and reduction of vibration. REXON keeps in inventory a varied set of lengths of the following profiles: A (60 to 237 inches; B (60 to 315 inches); C (76 to 420 inches); D (90 to 600 inches); 3V (60 to 140 inches); 5V (67 to 355 inches) and 8V (100 to 500 inches). Lengths that are not in our inventory can be made to order. Double V hexagonal belts meet the needs of parallel axis systems, offering flexibility in the longitudinal direction and rigidity in the transversal direction. REXON keeps in inventory a variety of lengths of the following profiles: AA (51 to 128 inches); BB (43 to 300 inches) and CC (81 to 420 inches). Lengths that are not in inventory can be made to order. POLIRIB belts are cutting edge products that allow a great reduction of the space required by the transmission system, smaller pulleys and high speeds and uniform weight distribution in the belts width. They can be produced in rubber or PU with tensile cords in kevlar, glass fiber or steel. REXON keeps in inventory a variety of lengths of the following profiles: PH/H, PJ/J, PK/K and PL/L. Lengths or materials that are not in inventory as well as the PM/M line can be made to order.